The Microsoft® Windows® Installer (free) is mostly driven by tables. These tables can be exported into text files, or imported from Tab delimited text files. Thus the setup process of your products is greatly facilitated. You can create this tables on the fly and import them in the MSI, then create the DDF files that will in their turn create the CAB files. This means you can automate the packaging of your products by creating on the fly the tables that will change for each packaging. To import the table use MsiDb.exe (provided with the Windows installer SDK). To validate the packages use Orca or Msival2.exe (both are provided with the Windows installer SDK). The .cub file darice.cub is also provided with the SDK. This file contains the ICE (Internal Consistency Evaluators) custom actions needed by Msival2.exe to perform validation. Developing the code to create this tables on the fly may take some time... but you will be satisfied of your efforts when you see you can package your product in less than 5 minutes. Localizing a Microsoft® Windows® Installer package requires modifying the strings displayed by the user interface and may also require adding or modifying product resources. For example, localization may include the addition of international DLLs and localized files to the product. 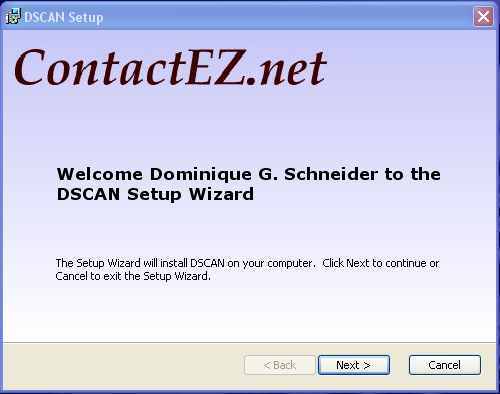 ECHO Use this PackageDscan batch file to make new cab files. ECHO DDF file names are not limited in length. ECHO Press CTRL-C to cancel. del "D:\dgschnei\CD\Portfolio\Development\dscan_code\Installation\MSI\DSCAN\English\Disk1\*.CAB" "MAKECAB.EXE" /f "D:\dgschnei\CD\Portfolio\Development\dscan_code\Installation\MSI\DSCAN\English\DDF\BIN_1.ddf"
MSIEXEC's Normal behavior is to launch multiple instances of itself; during a normal install you can expect to see 6-7 different instances of it; usually no more than 3 or 4 concurrently. Tek-Tips Forums, and platform sdk (member name dgschnei).